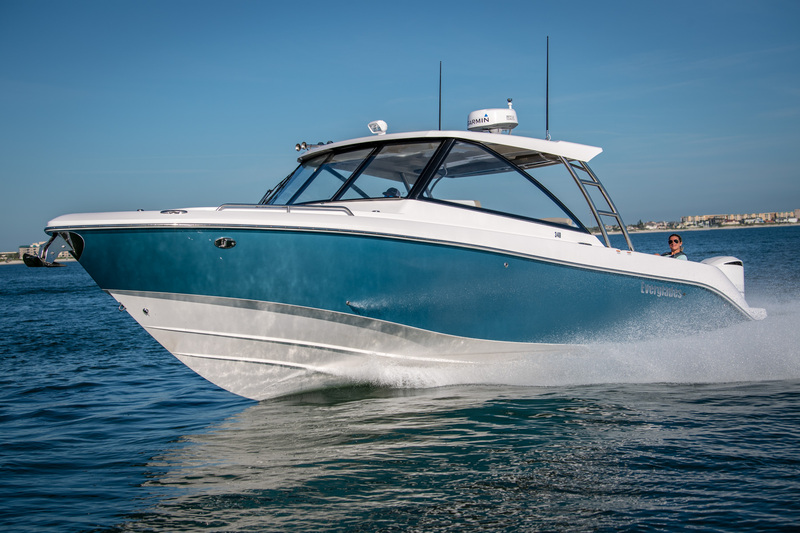 The Everglades 340DC debuted at the Fort Lauderdale International Boat Show in 2018. This is not the first dual console Everglades has ever built, but it is the flagship model of their latest dual console line. 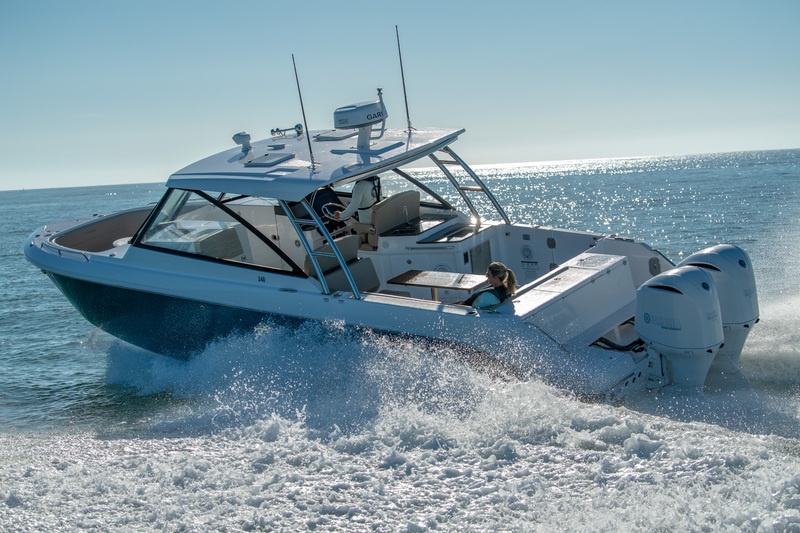 Everglades took everything they are famous for – luxury, comfort and ride quality – and created a family friendly boat without sacrificing fishability. Stepping aboard the 340DC, the first thing you will notice is the 96sqft of cockpit space. With the twin fold out seats in the back, it allows for a versatile cockpit to relax with the family or have plenty of room to fight the big fish comfortably. A standard 24 gallon live well for the anglers can double as an additional insulated cooler for those who don’t care to fish. This boat really caters to everyone. Like all Everglades models, the 340DC comes with a number of standard features, but it does allow for some unique options. First, every 340DC has the option for a diesel 6wk generator. Diesel is always preferred, and 6wk is more than enough power for all the systems on this dual console. The next unique option is the Seakeeper 3 Gyro Stabilizer. This eliminates over 90% of the roll on this boat and is a newer technology that has come a long way in the past few years. For those prone to sea sickness this can be the cure! 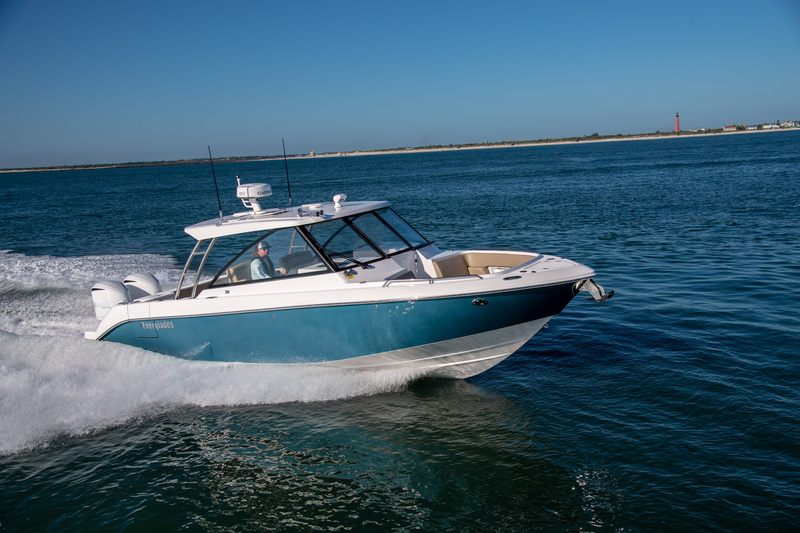 The 340DC is can also be upgraded to twin Yamaha 425hp engines. This allows for over a 53mph top end and a comfortable 35mph cruise with over a 320-mile range. 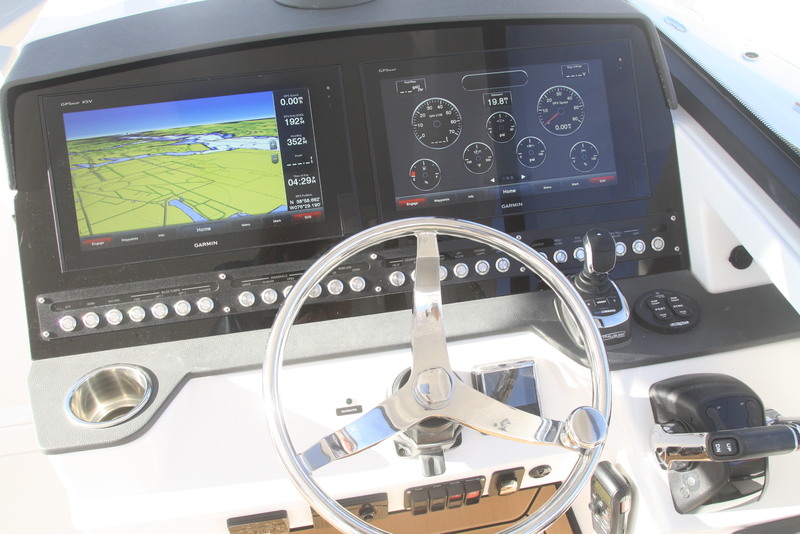 The helm has enough room for twin 16in Garmin chart plotters and ergonomic helm controls. When you upgrade to the 435hp Yamahas your helm master controls become standard. Joystick docking has changed the way people look at larger boats, and the helm master system is incredibly intuitive and easy to use. 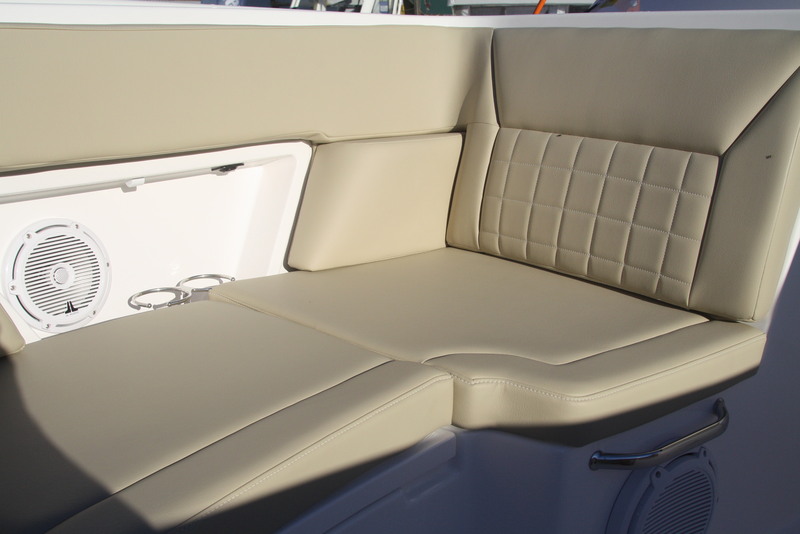 The portside seating features a fold down portion making it easily convertible to a chaise lounge. Open the portside door, and you will find an air-conditioned cabin perfect for staying overnight or just getting out of the sun. 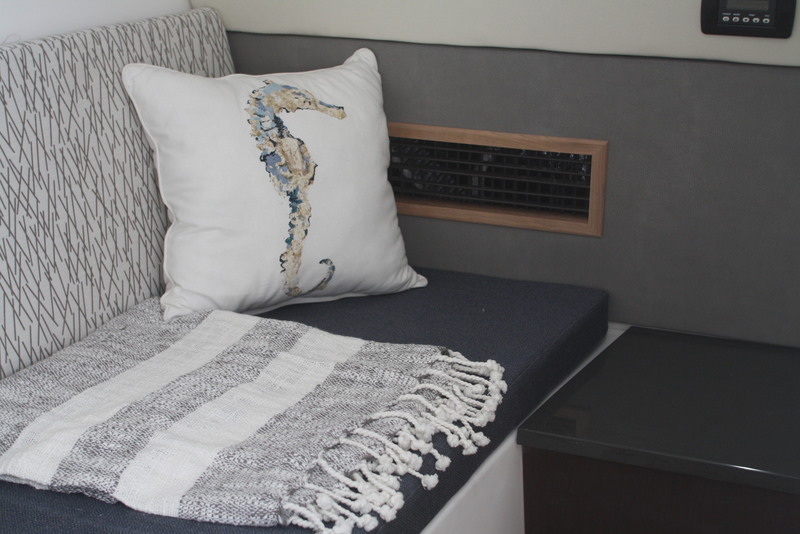 Moving into the bow you will walk past the best feature of the 340DC Everglades – the helm area goes from a full glass enclosure to an open, airy feel with the push of a button, something you will only find on an Everglades. In the bow you will see two full length lounges with a removeable table in the middle. The bow is deep, and the gunwales surrounding the bow seating are high enough so passengers can safely ride in the bow while you are underway. Everglades boats set a completely new benchmark for strength, power, durability, and versatility. The brand is the culmination of decades of experience and a passion for building the best family-friendly fishing boats on the water today. Every Everglades boat is unsinkable, thanks to high-density 6 lb. foam that is chemically and permanently bonded between the hull and deck. Everglades are built in a 125,000 sq. ft. state of the art facility in Edgewater, Florida, where most parts like fiberglass components, T-top structures and rails, and wiring harnesses are crafted in-house. Each component is created for the boat on which it will be installed. This ensures all parts meet Everglades’ sky-high quality and construction standards and produces a yachtlike fit and finish. The Everglades 340DC is no exception.